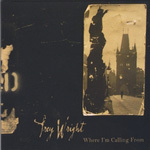 Trey Wright is a jazz guitarist, composer, and recording artist based in Roswell, Ga. Initially inspired by the blues, Trey was exposed to jazz early in his development by a private instructor. While studying Sociology at the University of Georgia, Wright furthered his study of jazz improvisation with pianist and composer Steve Dancz. In 1994, he co- founded the Athens/Atlanta based jazz band Squat. The group was a six-time winner of Best Jazz Band at the Flagpole Athens Music Awards and was a featured artist at the Atlanta Jazz Festival, Bel Chere, the Twilight Athens Jazz Festival, the Cherry Blossom Festival, Harvest Midtown, and Athfest. Several of Trey’s compositions with the group have received international airplay and have been featured on Sirius radio and NPR’s All Things Considered. Trey also performs freelance in the Athens and Atlanta area and has performed with Yellowjackets bassist Jimmy Haslip, John Patitucci, Joe Lovano, Corey Christiansen and Darmon Meader of the New York Voices. Trey’s international performances include the Montreux Jazz Festival; Jazz A Vienne; the Festival of International Theater in Casablanca, Morocco; and the World Sacred Music Festival in Bangalore, India. As a solo guitarist and with his trio, Trey has been a featured performer at the Athens Music and Arts Festival, the Lake Oconee Jazz Festival, and the Atlanta Jazz Festival. In early 2008, Trey began playing with the Georgia Symphony Jazz Orchestra (GSO Jazz). In December of 2002, Trey completed a Master of Music degree in Jazz Studies at Georgia State University and he currently teaches Applied Jazz Guitar, Jazz Theory and Composition, Jazz Guitar Ensemble, Jazz History, Jazz Improvisation, Jazz in Europe and The History of Rock at Kennesaw State University. Trey has also taught at LaGrange College, Gainesville College, the Atlanta Institute of Music and was a Jazz Artist in Residence at the University of Georgia. From 2010-2016, Trey wrote a quarterly column in Just Jazz Guitar magazine and starting in January 2019, Trey will write a monthly column for Jazz Guitar Today. In 2006, Trey released his first CD Where I’m Calling From, receiving rave reviews and airplay throughout the United States, New Zealand, England, Australia, Germany, Italy, Canada, Luxembourg, Scotland, and the Netherlands. 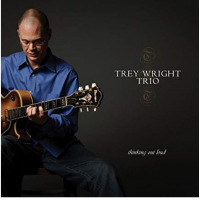 The Trey Wright Trio released Thinking Out Loud in the summer of 2009 on Blue Canoe Records. In 2010, The CD was included in the first round Grammy Nominations for Best Jazz Instrumental Album. In the Fall of 2012, the Trey Wright Trio’s version of Thom Yorke’s “Analyze” was included on the compilation Head Radio Retransmissions: A Tribute to Radiohead on the German label ESC records. Trey’s long-awaited collaboration with Grammy winning saxophonist Mace Hibbard The Hibbard/Wright Project was released to rave reviews in May 2013 and Trey's follow up CD Songs From Oak Avenue was released on Blue Canoe Records in March 2015. Over the past several years, Thinking Out Loud and Songs From Oak Avenue have been featured on Delta Airlines In-Flight Entertainment program. In 2017, Trey formed a duo with Atlanta based vocalist Laura Coyle. Over the past year and half the group has performed at the Athens Jazz Festival, the Roswell Arts Festival, Morgan Hall at Kennesaw State University, Agnes Scott College, Hendershots in Athens, Churchill Grounds Jazz Sessions at Mason Tavern, and the Columbus Jazz Society concert series at the Loft. 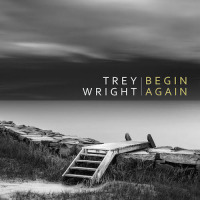 In January of 2019, Trey will release Begin Again a new CD featuring performances by Laura Coyle, saxophonists Mace Hibbard and Sam Skelton, trombonist Kevin Hyde, bassist Marc Miller and drummer Marlon Patton. In addition to teaching private lessons in jazz guitar and jazz improvisation, Trey is a Senior Lecturer in Jazz Guitar and Jazz Studies at Kennesaw State University where he teaches Applied Jazz Guitar, Jazz Guitar Ensemble, Jazz Combos, Jazz Theory and Composition, Jazz History, the History of Rock and Roll and Jazz in Europe. All About Jazz musician pages are maintained by musicians, publicists and trusted members like you. Interested? 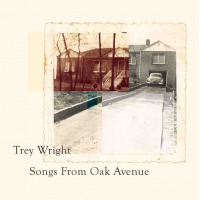 Tell us why you would like to improve the Trey Wright musician page.